Do you want to stay in a rustic cabin but don’t want to give up on comfort? Of course you do and you’re in luck! 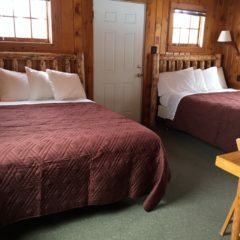 We’ve struck the perfect balance between the vintage charm of a 1946 cabin and the creature comforts of a modern motel room. 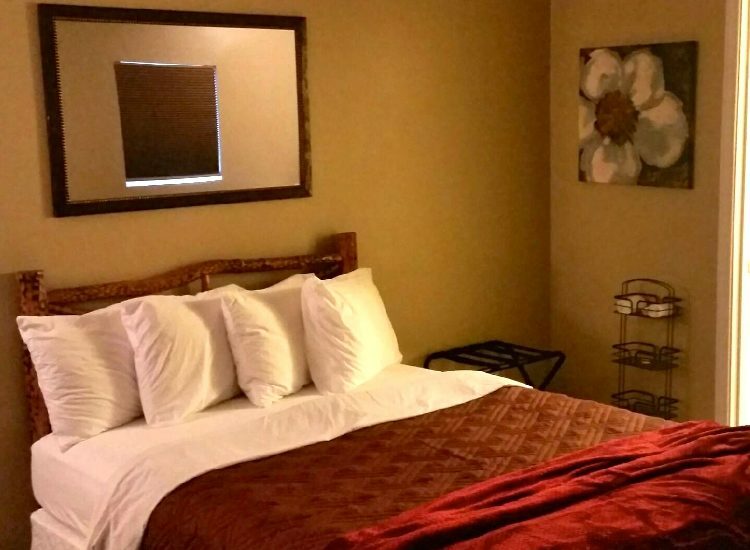 Our rooms are updated to include a private bathroom, microwave, mini-fridge, satellite TV and free Wifi in the common area. You don’t need to choose between authenticity and comfort. 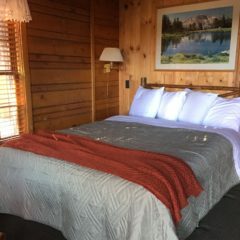 Stay in one of the original West Yellowstone traveler’s cabins. 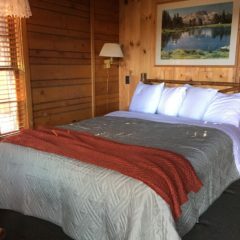 Have an authentic Yellowstone vacation experience and reserve your room today! Need a bit more room? Then check out our *3 Bedroom Family Style Apartment! * If you really want that home away from home experience our brand new 3 bedroom apartment is for you. The upstairs apartment features 3 bedrooms with queen beds, 1 bathroom with walk in shower, a fully equipped kitchen and a pull out queen sofa bed in the living room. Book today and make yourself at home! Staying here is convenient! Yellowstone Cabins and RV is in the town of West Yellowstone, MT, just one mile from the West Entrance to Yellowstone National Park. Our town is tiny so everything is a short walk away. While you’re here enjoy the town’s souvenir shops, fly fishing shops, restaurants, entertainment and more. When you stay at Yellowstone Cabins and RV you get more than just a motel room, you get the true Yellowstone experience.